We are thrilled to announce the return of Micro-Review Mondays, with Brian Foley paving the way and bringing us mini-review morsels to start each week of right. Check back each Monday for one or two little delights. Enjoy! The word obligatory drawing attention to the poet’s awareness to the fact that poetical language is itself often persecuted as no more necessary than a parsley sprig on a plate, Meg Ronan’s first collection is a multi-modal display of voice intentionally alternating between confidence and neurotic uncertainty towards the medium she chooses to use.  The self-titled poems interspersed throughout are three-line stanzas of dynamic, microtonal word play, continually in flux, but keeping the argument in refrain. At their best these poems are reminiscent of Stein’s Tender Buttons, a book that might also be considered a garnish argument. Cut throughout the rest of the book is another meta-voice, pleading at the reader to stop, repeating “why are you still reading this”, “why are you still suffering” in numerous ways. The effect is charming, smart, often funny, as this admission of guilt welcomes the reader in more than it pushes out. A constellation’s a man-made illusion of connection. Its up to us to make them appear. Every stars’ it’s own island. But so what. They’re still beautiful and unfamiliar each night if you want them to be. So we continue with the stories. We make a shape and feel better. The Constitution is my attempt at a shape. The internet is abuzz this week with Elisa Gabbert's The Self Unstable. Click the linked text to read up! The poem-essay things sort of eat their own tails when they work well. (But I would not say the word “ouroboros,” which is not exactly the same thing.) My favorite ones nimbly navigated authority and skepticism and wonder. But writing comes out of life; you can't write anything interesting in an isolation tank. Experience, thought, talk all feed into the work and are thus part of the work. You can't extricate writing from life. Get in on the conversation yourself! Purchase your copy of The Self Unstable here. I started writing this book about four years ago, after my first book was published. I had started a job that involved a lot of writing and was finding it difficult to transition from writing prose all day into writing traditional lineated “poetry” in my off hours. Colorado Review and Cutbank both reviewed Swamp Isthmus Recently. 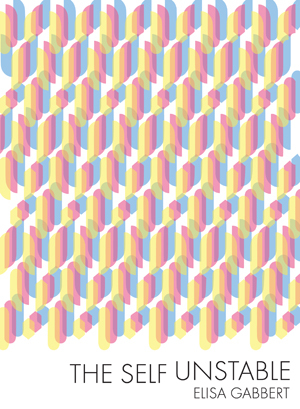 You might call Joshua Marie Wilkinson’s latest book “minimalist.” But you would be wrong. The slim volume and its trim, precise, untitled poems certainly take up little real estate, but the lines contained therein shine and shatter in unexpected, exhilarating ways. A kaleidoscope of figures that are by turns menacing and elegant, Swamp Isthmus investigates chilly panoramas of longing in a way that urges us to question both who we are and who is on our side. 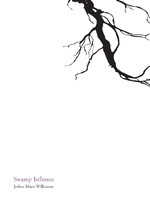 Did you know Swamp Isthmus made Coldfront's Top 40 Poetry Books of 2014? Get your copy here. Two Black Ocean titles have been honored with a listing in Coldfront Magazine's Top 40 Poetry Books for 2013. The book sustains this continuum of private and public in a way that commands our attention again and again and raises the questions of what can or needs to be known. In the book’s front matter, we are informed that Swamp Isthmus is the second book in Wilkinson’s No Volta pentalogy, and this knowledge extends the possibilities of the book beyond the first and last pages. Most importantly, it frees us to let the poetry wash over us, let the poems simply be, and to look around our own lives and determine what matters and why. These poems awaken our curiosities regarding the human life and its possibility for holding any real purpose. They are philosophical yet pragmatic. They don’t expect too much of the truth; they teach us satisfaction with life’s “continual climbing, with no resolution—just an ever-building terror” because, like the self, the truth is unstable. Check out the list in full here, and be sure to add these books to yours. 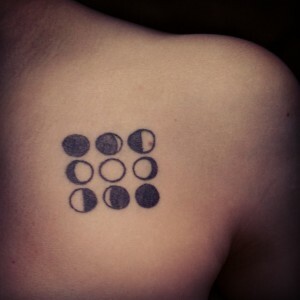 The moon cycle tattoo on her left shoulder was inspired by the chapter artwork in Rauan Klassnik's second book, The Moon's Jaw. For anyone else interested in getting every future Black Ocean title for the rest of your life, see our original post for details on how to qualify. For all of you who have already inked your love on your skin for us, we can't even begin to express how moved we are! The Next Monsters has been reviewed in Heavy Feather Review and on The Rumpus. Doxsee’s poems are shattered mirrors; they are fractured, jagged. If you stare at them long enough, you’ll uncover patterns in the chaos, hints of a larger image that was perhaps banished to a new and frightening dimension when the mirror was broken—like the big moment at the end of Prince of Darkness that leaves you feeling unwell. In Kent Shaw's review of The Next Monsters on The Rumpus, Shaw compares Doxsee's collection to sculptures by Carol Brove. He considers how the poems are meant to be encountered, and how they engage and by his reading, even antagonize. The style reminds me, actually, of these newish sculptures by the artist Carol Bove. Bove arranges sea shells using metal rods to hold them in place. The whole piece is very severe, and I often feel antagonized by the work. Why? I don’t know. I feel challenged. I feel like there is an excess of control in the pieces. And that’s what I like them for. Want in on the conversation? Purchase your copy of The Next Monsters today. Here's another chance to experience the awesome that is Pink Thunder, this time via TEDx Beacon Street. Watch Michael Zapruder perform some of the songs and then get your own copy HERE. Is The Self Unstable on Your Holiday List? Newly available from Black Ocean, Elisa Gabbert's The Self Unstable is finding its way onto many holiday lists this season, including The New Yorker's and HTMLGiant's. The New Yorker describes The Self Unstable as a "wonderful surprise," and HTMLGiant praises its ability to "[unsettle] the role of truth and [interrogate] the “I” in both literary and daily life." Want The Self Unstsable in your home for the holidays? Click here to purchase (free shipping as always!). Read The Best Books of 2013 in the New Yorker here. Read a 2013 Holiday Shopping Guide by HTMLGiant here. What else are you hoping to read this winter? 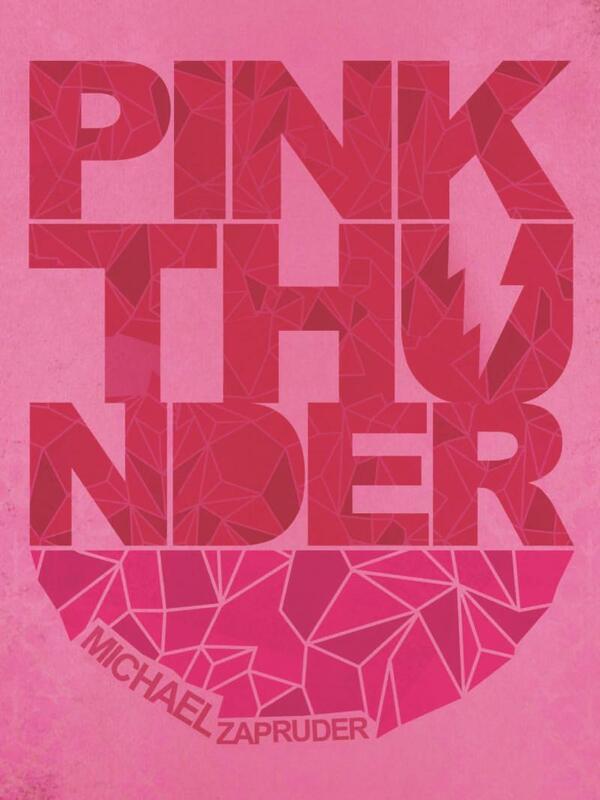 Experience Pink Thunder, contemporary American poems set to music, composed and performed by artist and former head music curator of Pandora, Michael Zapruder. Pink Thunder was selected by the Boston Globe as the best poetry book of 2012 and called “a work of extraordinary merit and historical significance” by the Huffington Post. Read a sample on They Will Sew the Blue Sail. Pre-order your copy now (free shipping as always) and get it while it's hot! Available directly from Black Ocean HERE. 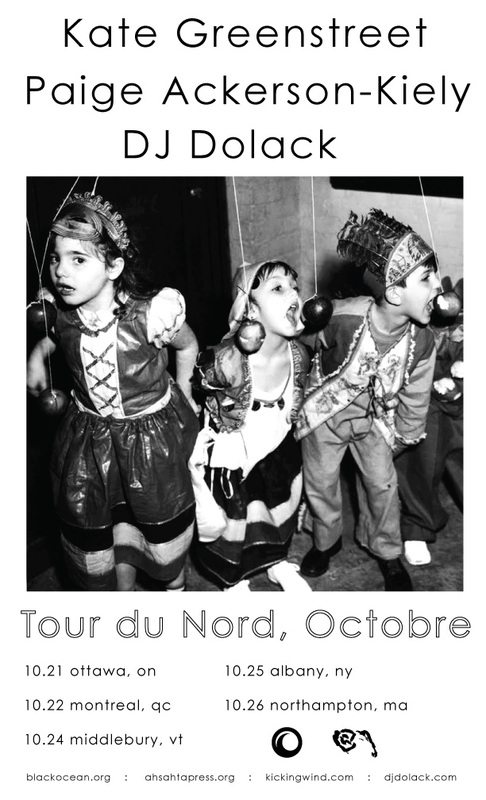 We know many of you are as big fans of DJ Dolack as we are. We're thrilled to have published Whittling a New Face in the Dark recently (get your copy here! ), and are excited to see him on tour with Paige Ackerson Kiely and Kate Greenstreet. Check out this post and see where you can catch them. Don't miss it!